The Finance Minister in his well-articulated speech in the Budget focused to foster stable tax policy for achieving fiscal consolidation. The spirit of minimum government and maximum governance was again echoed by him. The emphasis was clearly echoed on “Make in India” and the benefits required to be granted to the Indian exporters of goods and services. 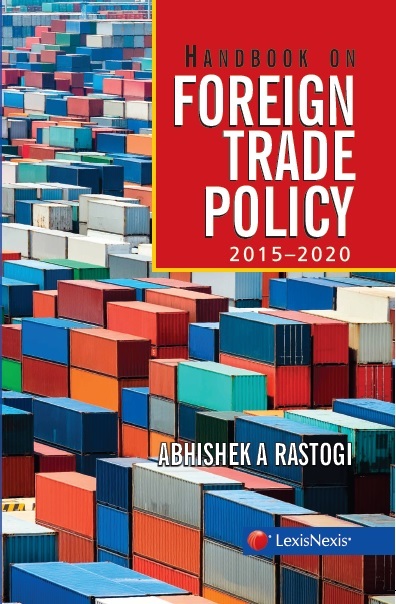 The Foreign Trade Policy (FTP) announced by the Government for 2015 to 2020 provides lot of benefits to the exporters of goods and services. This book makes the provisions of the FTP very handy. The new provisions would have to be referred by the experts on a more frequent basis. This book serves this very purpose.